Just when you thought the Syrian spillover couldn’t get worse, and that the events happening on the borders, the refugees crisis, the shelling of the Lebanese towns, the political quarrels and the unrest in Tripoli aren’t enough, salafi sheikh Ahmad Al-Assir and sheikh Salem Al Rifai issue a Fatwa for Jihad. It’s quite an important move, considered that Hezbollah is already deeply involved in the Syrian civil war, apparently protecting the Sayyida Zeinab shrine in Damascus and leading the battle for Al Qussair. But what is even more interesting is the timing of Assir’s move. Assir is losing influence. There were times when Ahmad Al-Assir would appear on every television, literally every day. These days are over. The collapse of the Lebanese government that was supported by Hezbollah made Assir lose the attention he got over the past few months. A Sunni moderate coming from a traditional Beiruti family is Lebanon’s prime minister-designate, and he got nominated from all the 27 Sunni MPs. Assir can’t go out and say that Tammam Salam is Hezbollah’s candidate, and Future Movement are clearly making a comeback in Lebanese politics with the appointment of a member of their parliamentary bloc as a PM. 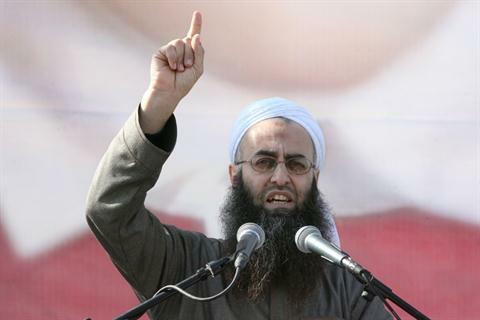 Assir never had that important impact in Lebanese politics, but he was rising star that’s now fading away. He can’t draw the attention anymore, is seeing his demonstrations getting banned and can’t attack Hezbollah the same way he used to do, because the party isn’t leading the coalition anymore. All the Sunni parties – except him – will be probably represented in the government, further isolating Lebanese Salafis, and making his speeches look even more sectarian than they are. The ultimate solution becomes calling for Jihad, hoping that he can regain some of the popularity he lost when things calmed down in Lebanon by accusing Hezbollah of killing Sunnis in Syria and by mobilizing Lebanese. The worst timing ever. Why? Because earlier yesterday, the Greek Orthodox and Syriac Orthodox Bishops of Aleppo were kidnapped. So it’s not a very smart move to scare the Lebanese Christians few months before the elections. Ahmad Al-Assir gave Hezbollah just what he wanted; not more, not less. By calling for Jihad in Syria the same day Bishops get abducted, Sunni Radicalism suddenly became the most important boogeyman for the Lebanese Christians, ultimately reinforcing Michel Aoun at a very critical moment: Governmental formation and electoral law negotiations. Posted in Ahmad Al-Assir, Lebanese Politics, Politics on April 23, 2013 by Ramez Dagher.